Industrial product typically demands the lowest prices in any market. The spread between new and existing product is very tight these days even with an overall vacancy rate of 8.2 per cent. New properties are averaging $12 per square foot (PSF) asking lease rates with approximately $4.00 PSF in occupancy costs. You’d get 3,750 square feet (SF) for around our hypothetical $5,000 per month. 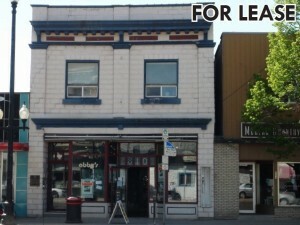 Older or existing properties are listed at $10 PSF with occupancy costs of $3.50 PSF. This equates to 4,444 in the $5K/month range. Saskatoon’s office market has several differentiations. At the highest end, downtown Class A office is currently listed on average at $25 PSF with $13.25 in occupancy costs. Keeping our monthly goal in mind, that would provide you 1,568 SF. You see a little more in Class B office with 1,967 SF at a rate of $19 PSF and $11.50 PSF in occupancy costs. That size increases, however, when you move out of the downtown core towards suburban listings. Typical spaces in suburbia are renting at $19.50 PSF with $10 PSF for occupancy costs. This would result in 2,034 SF within budget. Retail merchants pay the highest leasing rates, with $26.75 PSF for net rent plus $11.75 PSF in occupancy on new inventory. This totals 1,558 SF of leased space within the $5K/month parameters. You get a little more bang for your buck in existing with lease rates at $21.25 PSF and $8.25 PSF in occupancy costs. The $5k monthly budget gets you 2,088 SF. It’s important to know what type of commercial real estate best suits your business. Budgeting for realistic lease rates is vital to a successful business plan. With a range of 1,558 SF to 4,444 SF for a $5,000 per month budget, there are many options in our market to hang your shingle.